Happy New Year from DSAW! Happy New Year! As we celebrate the beginnings of 2017, I also celebrate the amazing year that is ending. You helped DSAW climb to new heights during the past year, and I’m thrilled to share our success. In 2016, we served 4,500 individuals with Down syndrome and their families throughout Wisconsin, and countless others through our resources, webinars, and other virtual support. We continued our core programming of training medical professions on delivering a fair and compassionate Down syndrome diagnosis, helping individuals overcome obstacles through “Roadmap Sessions,” training children on what it means to be a good friend to someone with Down syndrome, and more. But more than just continuing our core programs and services, 2016 was a year of growth and exciting changes for DSAW. We officially launched the Parent’s First Call Program, which connects new and expectant parents to resources and support 24 hours a day, 7 days a week. Our 7 Down Syndrome Awareness Walks throughout the State increased their fundraising by 23% in 2016… WOW! I’m so excited for you to see the impact this additional funding will have in your community. We also focused efforts on reaching families throughout the state, no matter where they live. We launched a new series of statewide webinars on important topics for families and medical professionals. We also launched a new, organized, and easy-to-use website (click around after you finish reading this post!). Finally, we moved the DSAW state headquarters to a new location in West Allis, WI. 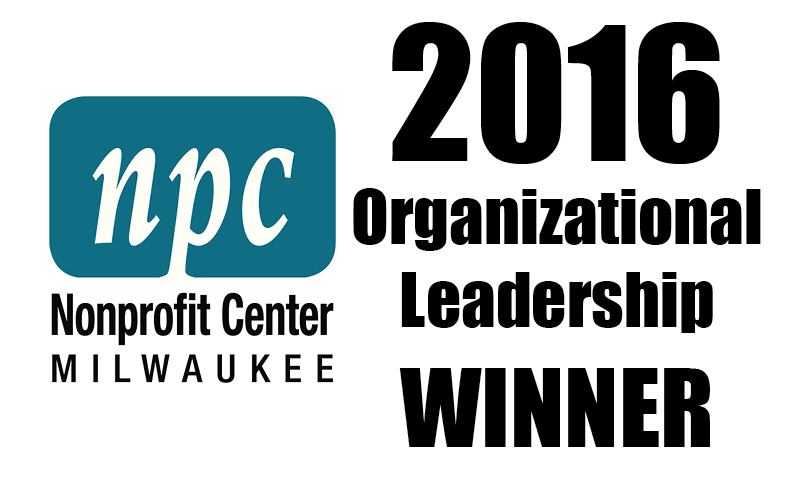 This office serves the entire state while piloting replicable programs and services in the Greater Milwaukee Area. 2016 could not have been so successful without our incredible community partners. In the Greater Milwaukee Area, we’re thankful for Bader Philanthropies, Cardinal Capital Management, the Home Depot, Dries Painting, the Racine Community Foundation, the Stackner Family Foundation, Nonprofit Management Fund, Professional Construction Inc, Trawicki Electric, Sid Grinker Restoration, Ben’s Cycles, and many other foundations and businesses. Thank you for supporting our programs and services. A special thank you to Potawatomi Bingo & Casino’s Heart of Canal Street Program for giving DSAW more than $35,000 in December! Thank you to the Otto Bremer Trust in La Crosse; the Community Foundation of North Central Wisconsin in Wausau; the Gordon Flesch Company, Green Bay Packers Foundation, LaForce Employee Giving, and Cornerstone Foundation in Green Bay; and the Lyssa and Andrew Schmidt Charitable Fund in the Fox Cities. We LOVE you all, and are so grateful for your support. Click here for a full list of our partners and sponsors around the state. I’d also like to thank the individuals and families around the state who make our work possible. Thank you to the DSAW State Board, the Chapter Advisory Boards, all of our top fundraising teams at the walks, and our 800+ statewide volunteers. As a member and volunteer-driven organization, you are the backbone that supports everything we do. Thank you!! 2016 was an amazing year for DSAW, and I’m confident that 2017 will build upon this past success. At the end of 2016, we finalized DSAW’s new 5-Year Strategic Plan, which will guide DSAW through its planned growth and change over the next 5 years. We have reorganized the way we talk about our programs and services, and the way we approach our fraternal support. More than anything, we want to be known as an organization that supports the entire state of Wisconsin. No matter where you live, DSAW is here to help you and your family. No programs or services nearby? Get in touch with us to start a Parent/Grandparent Support Group, Coffee Club, Monthly Playdate, Mom’s Night Out, or other activity near you. Read more about our 5 Year Strategic Plan here. Looking ahead, I am filled with hope. Individuals with Down syndrome and their families are more prepared than ever before in history to lead rich and rewarding, meaningful lives… but an agency like DSAW must be at the forefront of cutting-edge programming, individually designed to help them excel at school, at home, in the community, and to prepare them for an independent life with housing, supports, and income. Because of your support, Wisconsin is on its way to becoming the best-supported state for individuals with Down syndrome. We have big things ahead of us in 2017. With your support, I know that anything is possible. Thank you for investing your time, talent, and treasure in DSAW’s future!